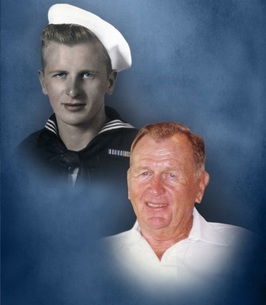 Arthur Edwin “Bud” LaFary 97 of Lake Placid, FL, formerly of Whiteland, IN passed away Wednesday, August 8, 2018 at University Heights Health and Living Community in Indianapolis, IN. He was born May 13, 1921 in Greenwood, IN to Albert Herman LaFary and Hazel E. (Lemasters) LaFary. He was a 1939 graduate of Whiteland High School. 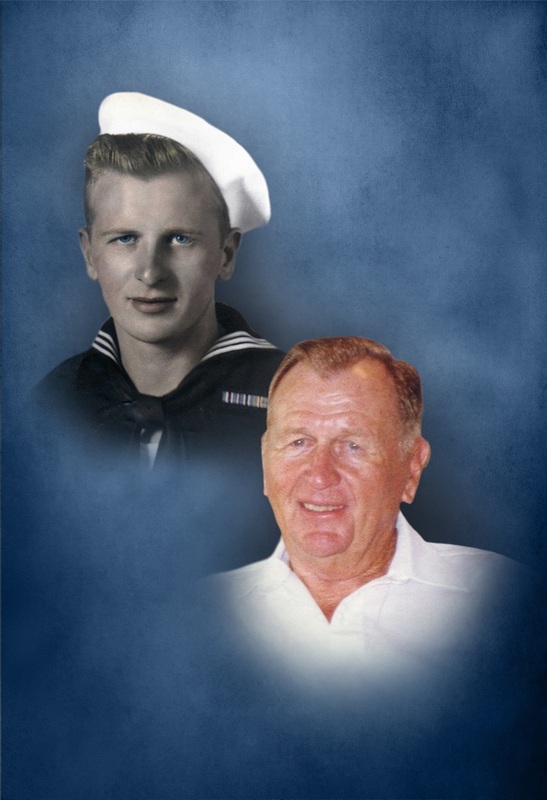 Immediately following graduation, he enlisted in the United States Navy having served on the USS Portland and received the Silver Star having served in five major battles: the Coral Sea, Midway and Aleutian Islands, Solomon Islands, Australia, and Guadalcanal. He received the Bronze Star after the battle of Guadalcanal. He owned and operated LaFary Leasing Systems with five locations in Miami, FL, and south Florida from 1963 till 1983 including clients such as the University of Miami and President Nixon’s visits to the area. He enjoyed bowling, RV traveling, dancing, and playing cards. Survivors include his wife Marjorie L. (Duncan) Surface LaFary of Lake Placid, FL, his children Connie Kitson (Steve) of New Smyrna Beach, FL, Patricia Chapman (Ricky) of New Smyrna Beach, FL, Kimberly Bemis (Todd) of Bargersville, IN, Thomas LaFary of Homosassa, FL, Timothy LaFary (Rhonda LeBron) of Loudon, TN, six grandchildren: Cynthia Glentzer (Drew) of Trafalgar, IN, Lindsay Hern of Edgewater, FL, Chad LaFary of Land O Lakes, FL., Sean LaFary of Wesley Chapel, FL, Beau Bemis (Sara) of Martinsville, IN, Brooks Bemis (Lauren) of Greenwood, IN, great-grandchildren: Peyton Wilson Nick Wilson, Gracie Bemis, and Taylor Williams; step-children Sheila Surface Richards (Rex-deceased) of Greenwood, IN, Shirley Surface Sutton (M L “Butch) of Greenwood, IN, and Jeffrey Surface (Connie) of Greenwood, IN. He was preceded in death by his parents, and sisters Virginia Stretchberry, Marilyn Royko; and brothers Richard LaFary and Robert LaFary. The Reverend Bill Van Horn will conduct a service Monday, August 13, 2018 at 11AM at Swartz Family Community Mortuary and Memorial Center, 300 South U.S. 31 (Morton Street) in Franklin, IN. Friends may call Sunday, August 12, 2018 from 3PM till 6PM at the mortuary. Burial will be in Nineveh Cemetery with full military honors conducted by the United States Naval Honor Guard and Franklin American Legion Post #205 Honor Guard. Memorial Contributions may be made to the Wounded Warrior Project, P.O. Box 758517, Topeka, KS 66675-8517 or at www.woundedwarriorproject.org/donate. Online condolences may be sent to the family at www.swartzmortuary.com. Information at 317-738-0202. Burial will be in Nineveh Cemetery with full military honors conducted by the United States Naval Honor Guard and Franklin American Legion Post #205 Honor Guard. We encourage you to share any memorable photos or stories about Arthur Edwin . All tributes placed on and purchased through this memorial website will remain on in perpetuity for future generations. In honor of “Bud” LaFary. He was a joy to know and quite a character. We enjoyed visiting with he and Marge and sometimes Tim when they’d come up in the summer months. Bud always seemed to be working on something. Whether it was a business deal or his next witty remark, the wheels were always spinning. We were blessed to get to know Bud and his family. John 3:16 “For God so loved the world, that he gave his only Son, that whoever believes in him should not perish but have eternal life. I am so sorry for your loss. Bud was a good friend of my parents (Gaylord and Katy Pitts). Your family is in my thoughts and prayers. Dear Marge, I am so sad to hear about Bud’s passing. I have such wonderful memories of our times together in Florida and will cherish them always. My condolences and prayers to you and your family.